LAKEVILLE, IN. 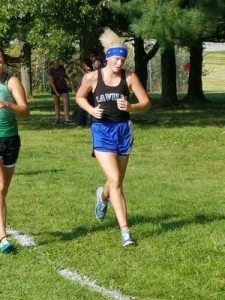 – The LaVille Co-Ed Cross team hosted Bremen and Triton in a triangular meet. A total of 42 runners braved the warm and humid conditions, as the heat index rose to the mid- to upper-90s. Bremen took overall team honors in both the boys race and girls race. 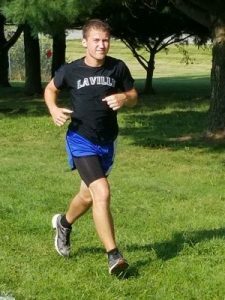 Caleb Christy led the LaVille guys with a 21st place finish of 28-minutes, 59-seconds. Connor Henry was 22nd, and Anthony Hatter 24th. The winning time was by Brandon Kitch of Bremen at 20-minutes, 59-seconds. In the girls portion, LaVille Faith Rock toured the 3.1-mile course in 29:29 for eighth. Jozee King-Cook was 12th, Airyona Nies 14th, and Eve Miller 15th.